Hey everybody welcome to another episode of Ready Set drone. I’m really excited today because we’ve got the DJI Mavic and the DJI Phantom 4. If you were wondering which one was a better quad for you well, we’re going to go through the pros and cons of both and let you decide for yourself, so stay tuned. I’m gonna start this video by telling everybody, i’ve had the Phantom 4 for about a year now. Love it, it’s a great quad, ton of fun to fly, takes great video. I’ve had the Mavic for a little over a month, maybe six weeks, have flown it a lot in that time period. They’re both just really awesome you know, DJI has done some amazing stuff with the technology. So I’m not going to tell you that one is hands-down better than the other, but i’m going to give you some things to consider if you’re thinking about buying one or the other. But I also want to be very clear this is a Phantom 4 not a Phantom 4 Pro. So this is probably going to be dropping in prices. 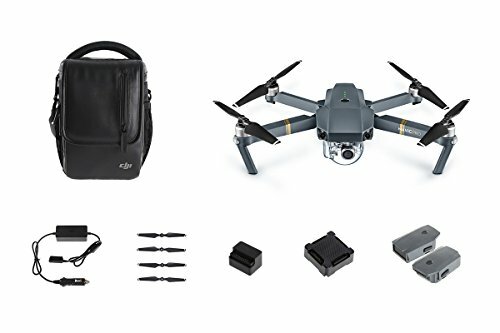 The pro becomes more popular, it was just announced recently, and i’m hoping to get a pro, do some comparisons that but you know, because this will be dropping in price, it might be actually closer and price to the Mavic at some point. So, I’m going to talk about these subjective and the objective differences between these two, and kind of give you, where it’s just a fact, you know this one is taller than this one versus my opinion. So, but i think a great place to start is, what are the similarities between these two quads.First of all, obviously they’re both made by DJI and they both use the DJI Go app. So, no need to compare the software because it uses the same software that runs on your mobile device, whether it’s a phone or tablet. The app is amazing, i’m not going to go into too much detail now, but it does a lot of really cool things. A lot of neat flight paths you can take, camera adjustments you can do, safety features, all kinds of stuff built into that app that you should really explore. Also, i did a video about flight time, this one is actually supposed to, the Phantom 4 is rated at 28 minutes whereas the Mavic is rated at 27 minutes on their website. But with a fairly new Phantom 4 battery and a fairly Mavic battery both had fewer than 10 charge cycles on the Mavic actually stayed in the air a little bit longer about a minute in a few seconds longer than the Phantom. I have learned since then, the Mavic is designed to actually stay up in the air longer when it’s moving forward. It’s not exactly level the bottom, the back legs are a little bit lower than the front legs and so once moving forward, it is more level and that probably helps it stay in the air longer. But anyway, flight times are very similar around 27 minutes optimally, probably actually a bit lessen in real life, you know, let’s say 20 to 25 minutes in real life. They both have obstacle avoidance sensors on the front and they both have sensors on the bottom, that help them track whether if there’s no GPS signal. So if you’re flying indoors, you can fly both of these quads indoors pretty well without a GPS signal, which is nice. Now they both have 4K cameras with a 3-axis gimbal, both cameras are around 12 Megapixels. I believe the Mavic is like 12.7 and the Phantom’s is like 12.4, but I feel like that’s a pretty negligible difference in terms of the number of Megapixels. I also believe they have the same lenses although i know that the Phantom lens has a slightly wider field of view and the Mavic lens is a slightly narrower. Not by much but you will get a little bit more of a wide view and a little bit narrower view on the Mavic, wider on the Phantom.Also, the speed of the lenses is a little bit different. The Mavic is a 2.2 and the Phantom is 2.8, 2.2 is better for low-light, but not by much, really that’s a fairly negligible difference. Operational range, the max range for the Phantom is 3.1 miles or 5 kilometers, the max range for the Mavic is 4.3 miles or 7 kilometers. So, that might not sound like a big difference, but it’s about 33% further that you can fly the Mavic, away before you lose connection with it, than the Phantom. I’m not a big fan of doing that, I’ve done it a few times to test some things but, honestly i’m risk averse, I don’t want to drop my thousand-dollar quad into somebody’s backyard or some passerby somewhere, not be able to find it. So, trusting to the technology is going to take over when it loses signal and fly back to you, you can fly it about that far, and that supposed to be what will happen. The Phantom now, here’s a big diffeence, the Phantom uses LightBridge and the Mavic uses OcuSync. What’s the difference between LightBridge and OcuSync? LightBridge is an older technology, it’s what transmits the video from the Phantom to your mobile device, so that you can actually see a live view of it.There’s a little bit more latency with LightBridge and there’s not it’s good a range, and also the live view on the Phantom I believe, even in Phantom 4, even if you’re shooting 1080p on the camera, you’re still only seen a 720p signal. The Mavic switches back and forth between 1080p and 720p depending on how good the signal is, if it’s a good strong signal, will give you 1080p live view, if it’s getting further away or you’re having some interference, will drop 720p to make sure that you’re still getting a good clear live view or just won’t be as higher resolution. So OcuSync is definitely where the world is going or at least where DJI is going. So it is a new attack, but there’s nothing wrong with LightBridge. It’s amazing you’re going to get a very clear, not very glitchy image with either of these, just a little higher resolution with the Mavic. The maximum speed on these two, is pretty similar. The in sport mode the Phantom will go 44 miles an hour, according to the specs and in sport mode the Mavic will go 40 miles per hour. I flown both in sport mode, they’re both amazing to fly in sport mode, they’re super responsive, just almost kind of scary how fast they are. Now I’ve been flying some FPV racer, so I’m getting used to that speed, but if you’re just starting out you’ve been flying in a GPS or attitude mode and suddenly switch over to sport, will definitely feel the difference. So slightly faster, the Phantom slightly faster, but you know, not that much and again, these are racing quads although they are fun to zip around with. The weight is a big difference , this one is 1380 grams (Phantom), this one is 743 grams (Mavic), that’s with batteries. You can feel the difference, i mean this feels almost twice as much as this, in terms of weight and it makes a big difference in terms of portability, in terms of the size of battery, you need a bigger battery to stay in the air with that much weight than you do on this one. I will say that gives an advantage to the Phantom in the wind, seems to handle wind a little bit better than the Mavic. The Mavic gets pushed around ,it is so light but as far as the way it goes, this is quite a bit heavier. Now interestingly they are both fairly similar in their diagonal size. The Mavic is 335 millimeters diagonally, from motor the motor, excluding the prop. The Phantom is 350 millimeters ,so the Mavic a little bit smaller diagonally but not by much, where you really see the differences in the height, right the landing gear, the way this one (Phantom) stands up so tall and this one is a lot flatter to the ground. 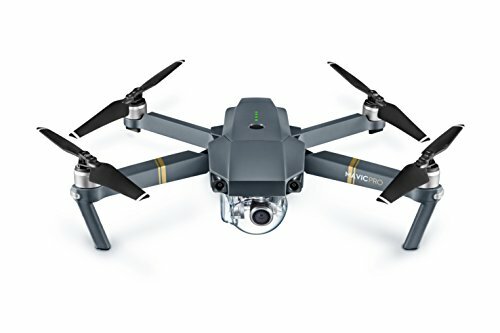 Of course another big difference is the price, the Mavic is currently $999, that’s with one battery. The Phantom has been dropped because of the announcement of the Phantom 4 Pro to $1199, basically 1,200 bucks, two hundred dollars more expensive for the Phantom than for the Mavic. So now, we’re going to switch into the subjective differences. The differences that are more subjective from my point of view, based on my having flown, both of them quite a bit. I will say I flown the Mavic way more in the last couple of weeks than I had in the last couple months with the Phantom. Just because it’s so easy, i have it in my car pretty much all the time in a small bag and i’m at just out there like if I see an opportunity, i’ll take it out and fly it because it’s tons of fun. I’m gonna start with the pros of the Phantom, and again these are just my opinions based on observation. Number one, I think the Phantom is better in the wind as, I said it’s heavier it just seems to handle wind a little bit better in terms of, if there’s a strong breeze, it’s more stable. The Mavic is still very stable, but it’s fighting the wind more because it seems to have a little bit less mass to keep it in place. Secondly, i feel like the Phantom is more professional-looking and what do I mean by that, well if you’re going to show up to do a video shoot or photo shoot using a drone, this just looks a little more legit. Now I can’t say this (Mavic) doesn’t look legit because this looks really cool, this looks more like a racer or something. Now of course if you’re gonna get a big bigger DJI or other brand that carries a DSLR of course that’s really legit. 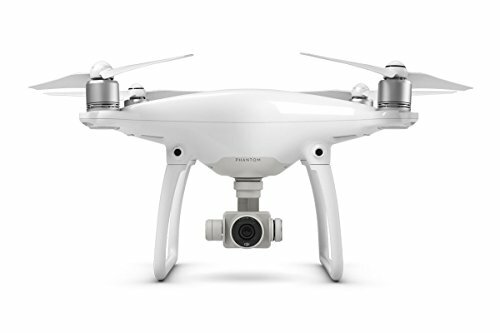 But right now the Phantom is kind of what people expect when they see a professional or high-end hobby videographers using drones, wedding videographers, event videographers and such so. 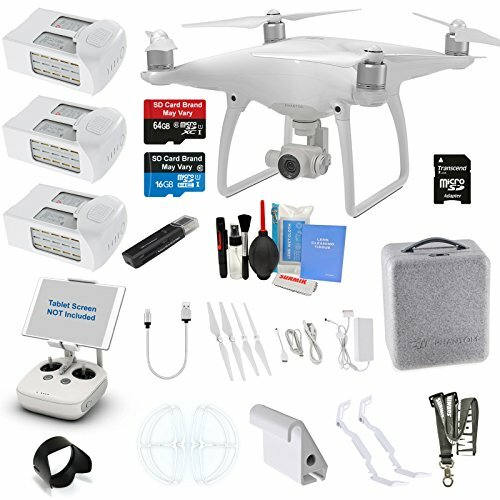 If you are buying it for that purpose, something to consider, the whole idea of you know, showing up and looking like a pro, or you might consider waiting for the Phantom 4 Pro, if price is not an object. I also think that the Phantom 4 is going to naturally have more accessories available, both from DJI an aftermarket. It’s probably easier to find parts, look, it’s been around for a while, the Phantom series has been around for a while. So people have been developing different skins for them, cases for them, you know, filters for your camera, all kinds of aftermarket stuff, that’s just starting to come out on the Mavic. So six months from, now I’m sure there will be a ton of cool stuff, aftermarket stuff for the Mavic. But right now, you’re going to find it easier and if you happen to crash and need parts, but you’re going to be able to find Phantom parts much easier than are Mavic parts, so little nod to the Phantom there. One big thing for me, I’ve been shooting some on boats waterskiing and wakeboarding and wake surfing and one thing i do love about the Phantom is and I like it better than the Solo too, besides the Mavic is the ability to hand catch it. You know this (Phantom) landing gear is really solid and right now I’ve got the gimbal guard on. But even with the gimbal guard off, this landing gear is so solid, that when it comes in, i feel very good about catching it. I’ve got some grief on this channel from people saying, “oh you shouldn’t tell people to do that”, but if you do it well, you’re steady and you know what you’re doing, you can totally hand catch this thing. Because, it’s really hard to land this on a boat, you know on, even nothing’s an even surface and last thing you want is, it dropping off into the water. So hand-catching is a big advantage, i still think if i’m going to be shooting things like water scheme or where I’m moving and I can’t landed on a level surface, I’m gonna use the Phantom every time. Then, finally the Phantom very easily allows you to use an iPad or an Android tablet. I’ve seen some videos where people are crammed tablets into the remote of the Mavic. It can be done, you can just plug in your tablet and not have it connected, but then it’s kind of awkward because it’s on cable but it’s not being held there. This is just designed to be used with a bigger screen, now the Phantom 4 Pro is going to have its own built-in screen, that is brighter and designed specifically for flying quads, interested to see what that looks like. But for now i really like the fact that, i can use an iPad mini with the Phantom 4 and i’m stuck using my phone with the Mavic, so another advantage for the Phantom. So, now let’s talk about the Mavic and some of the pros I see with it. First of all portability, I mean this thing is just crazy portable right, you put it like this, you fold it up, it is just so tiny and so easy to throw. You can put it in your pocket, I mean you have to have cargo pants or something. But I mean just look at that, that compared to this (Phantom) does not fold up. You can take the props off of the Phantom but you can’t do much more about the bulk of the body and the camera. This is just so convenient, I’ve got it down to a very small little case that I carry around. So I love that, you know i love the fact that it really is something you could take with you, just about anywhere you go and be able to fly it and get pretty amazing video and footage. The Mavic is more stable in a hover, when it’s not windy. So if you’ve got the two of them and hover and there’s no wind, the Mavic actually holding in one place better than the Phantom. The Phantom I did again, when i did that test, it was a bit windy, but the Phantom kind of drifted and the Mavic did not, it stayed right where I put it, which is pretty awesome. I don’t know if it’s got better sensors on the bottom, more sensors on the bottom, you know there’s the bottom of the two of them, but it really does better and hover. The Mavic little bit quieter in the air. This Phantom has bigger motors and I think just makes a little bit more noise in the air. The Mavic is easier to land on the ground, and what I mean by that is, it comes to a certain spot in the air, about 18 inches/30 inches off the ground something like that, the sensors kick in and hovers for a second or two and then it just landed itself slowly. I love that, I’ve gotten used to that now and I’ve had a few instances with my Phantom where I’ve come in and landed and because it’s taller, there’s a little more ground effect. I’ve tipped on its side a few times, nothing major but you know it’s nice this thing, really can’t tip on its side, there’s really nothing below it when it lands, it sits down low to the ground and so landing is easier. Finally, the Mavic is cheaper $999 vs $1199. So thousand bucks vs 1,200 bucks, saving two hundred dollars on this thing, with just the basic setup that’s the Mavic Pro with the remote and the Phantom 4 with one battery each. But 200 bucks is 200 bucks, so you know, in terms of, if you’re on a budget, and you want to save some money for something else a spare battery or something, you can get the Mavic with two spare batteries for the cost of the Phantom 4. So, those are the pros of both of these quadcopters, the last thing to really take into account of course is the footage. From my experience, I think the footage looks fantastic on both of them. They both have similar specs on the camera as i mentioned before, the gimbals are both very very smooth, so you’re not going to see a lot of shake in the footage. You know, there is the issue when you’re flying in sport mode of getting the propellers in the shots sometimes, so you have to pay attention to that, but of course you can tilt the camera down a little bit and avoid that completely. Now that Phantom 4 Pro is coming out, and the Phantom Pro is supposed to have a much better camera with a better sensor and that’s gonna be a whole different ball game when it comes to video. But if you’re looking at a Phantom 4 or Mavic Pro, the footage is going to be very similar with the two of them. So in summary, you’re not gonna go wrong buying either of these quads, but in my opinion for its portability and for its price the Mavic is the way to go, 999 vs 1199, 200 bucks, you can buy some extra batteries for this thing and that’s where the Mavic Pro with remote. It’s an amazing little quad, you know, it’s newer tech than the Phantom 4, and it is so portable that you can take it anywhere and have a big adventure with it. Shoot video, shoot pictures, oh I didn’t even mention the whole gesture thing, which I’ve not done much of because i think it’s kind of silly, but this also does gestures where you can do selfies and stuff by just waving at the camera. But if I had to choose between one or the other and couldn’t be fortunate enough to own both, I would want the Mavic.So if you’re going out there and unless your consideration is being able to hand catch it and again, shooting professional video and wanting to show up with something that looks a little more pro, in which case you might consider the Phantom. I think the Mavic is the way to go for ninety percent of the people out there who want to shoot video with an awesome DJI quadcopte. If you enjoyed this video, please hit the like button and if you want to see more videos about the DJI Mavic and the DJI Phantom 4 and the DJI Phantom 4 Pro, etc, please subscribe to Ready Set Drone and we will see you next time, thanks for watching.